I’m not ready to let winter go. But winter is my time to read. Stretching out on the recliner with a cup of coffee, the cat on my lap, and a good book – a great way to spend a cold winter’s day! Among the top books from my winter reading was “The Third Plate – field notes on the future of food” by Dan Barber. This optimistic book looks at where our food system should be going and is going, from a chef’s perspective. Another good one is “In Search of the Perfect Loaf – a home baker’s odyssey” by Samuel Fromartz. The author goes on a worldwide quest to learn about baking the best bread. Along with a lot of books, I enjoy reading magazines, and internet articles. Not surprisingly, many are about farming. Now with spring approaching, the time for relaxing & reading is coming to an end. It’s time to take what I learned from my reading and apply it to our own farming practises. That’s exciting & challenging! We have lots of plans, lots of new ideas, and lots of optimism for this upcoming season! 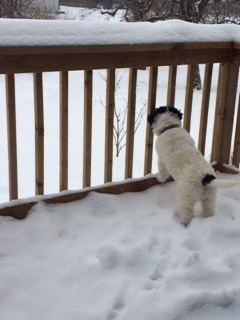 I’m ready for spring … but a bit more winter weather would be okay too – I’ve still got a few more books to read! 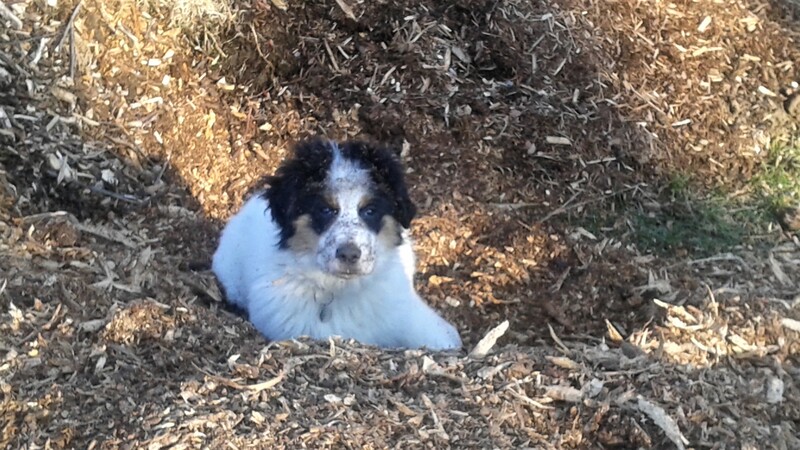 … and digging in the pile of wood chips. 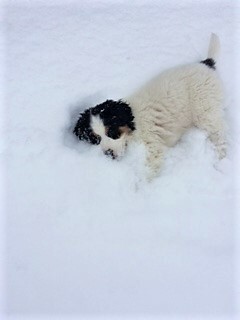 We are confident she will be a great dog – eventually! 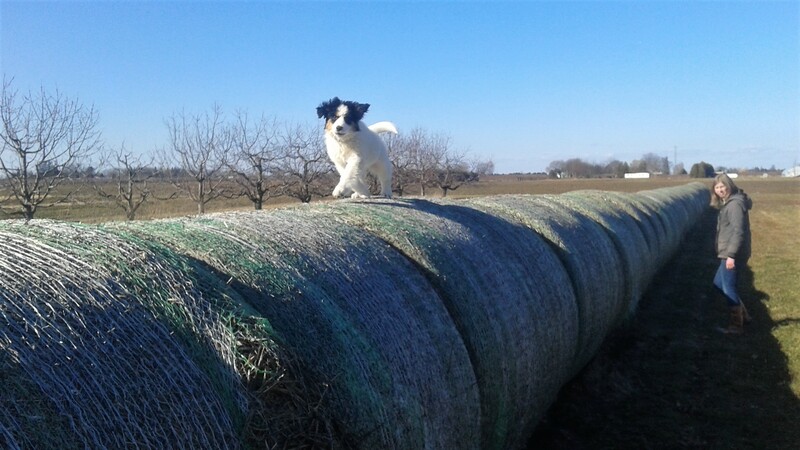 Introducing Sage, the newest member of the team here at Thiessen Farms. 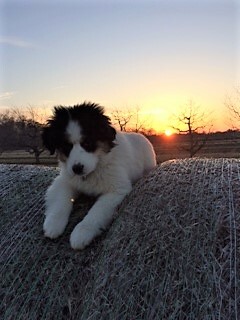 Sage came to the farm a couple of weeks ago and quickly stole our hearts! Technically she belongs to Amy which means Amy has all work & expense & time & trouble … of training her and ensuring that she grows up to become a useful member of the farm. The rest of us get to simply enjoy her! 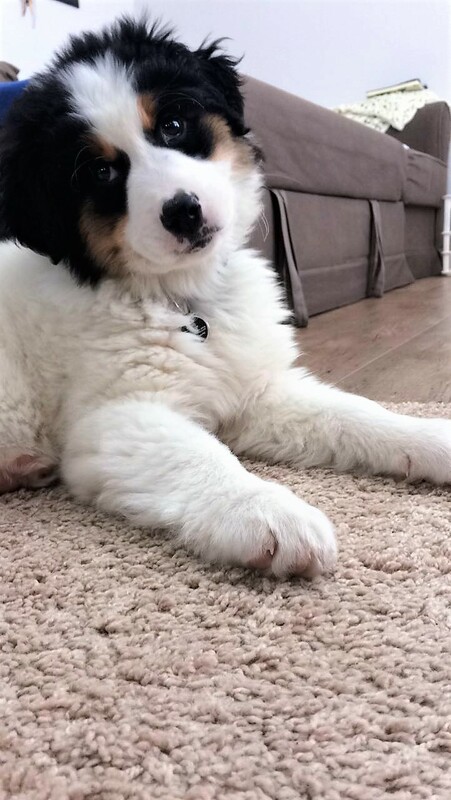 Sage’s mother is a Bernese Mountain dog and the father is unknown. 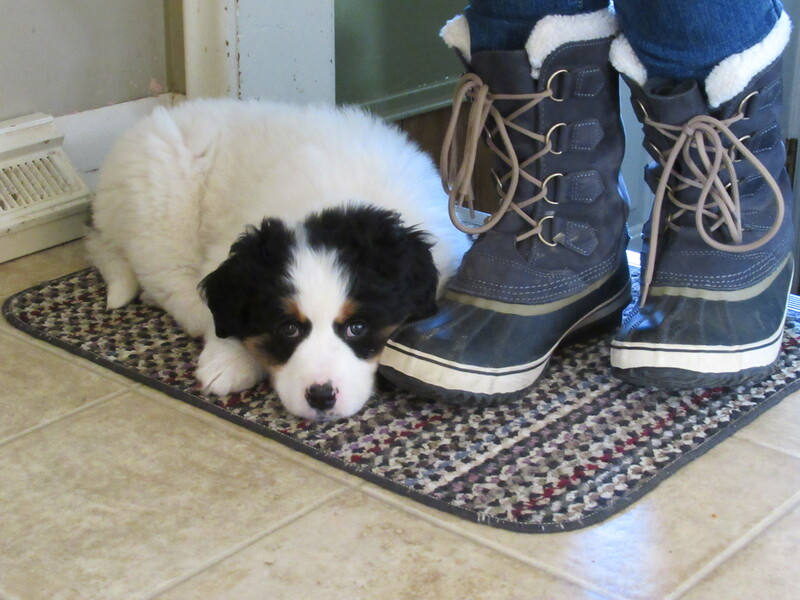 Her paws indicate that she will likely be a good size dog. 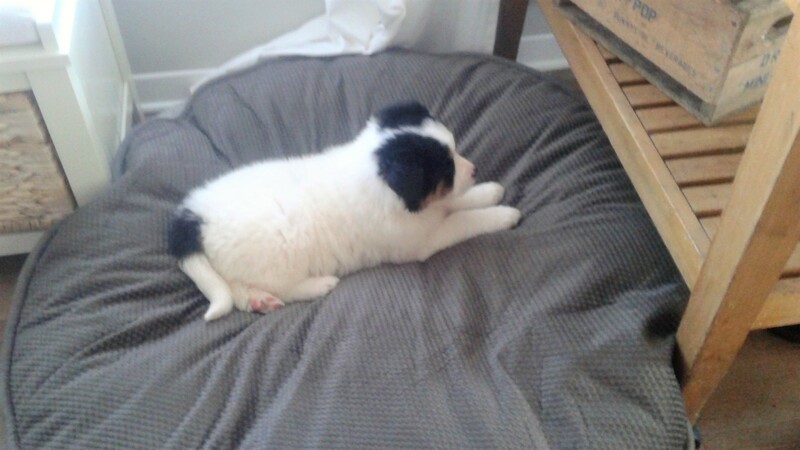 Sage appears to be quite intelligent and has easily learned basic commands. But being a puppy, she also obeys selectively and at her whim. She is loads of fun! Good pictures are limited as Sage does not prefer to stay still. She is excited to make friends with the cats. Oliver has reluctantly accepted her & mostly ignores her, but the 2 Flynns want nothing to do with her. Sage loves the security of her porch. 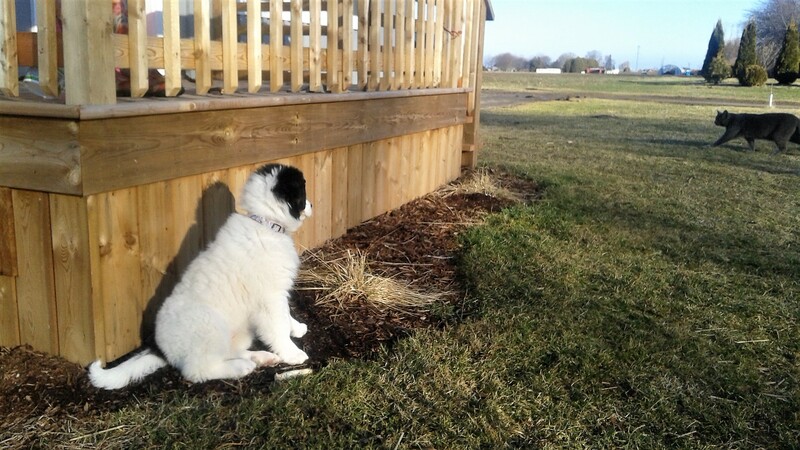 Here she sits and watches the farmyard and all that’s happening. Sage looks forward to meeting everyone when our CSA program begins later in spring!